(CBS) Is there a cure for cancer? Not yet, but an eye-opening new study suggests that it can be prevented by simple lifestyle changes. These changes may ward off cancers for every 4 out of 10 people. "Many people believe cancer is down to fate or 'in the genes' and that it is the luck of the draw whether they get it," study author Professor Max Parkin, a Cancer Research UK epidemiologist based at Queen Mary, University of London, said in a written statement. "Looking at all the evidence, it's clear that around 40 percent of all cancers are caused by things we mostly have the power to change." What are these lifestyle factors? 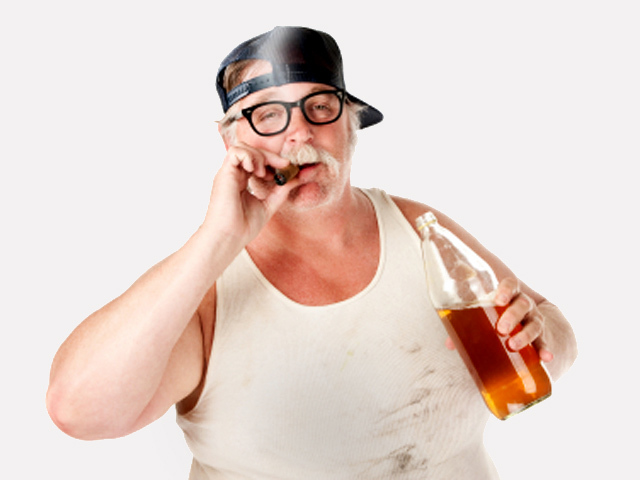 Smoking, unhealthy eating, alcohol, and obesity. The study, from Cancer Research UK, says more than one-third of British cancer cases each year are caused by these four common unhealthy habits. For the study, researchers examined data on cancer cases that occurred in the U.K. between 1993 and 2007. The researchers then calculated the proportion of cancers that could be attributed to the following 14 risk factors: drinking alcohol, smoking tobacco, not eating enough fruits and vegetables, not eating enough fiber, consuming red and processed meat, consuming lots of salt, being overweight or obese, not exercising, infections (such as HPV), sunlight exposure (including unnatural), radiation exposure, occupational exposure to chemicals, and for women: not breastfeeding, and undergoing hormone replacement therapy. The findings are published in the Dec. 7 issue of the British Journal of Cancer. Which factor ups cancer risk most? Smoking was "far and away" the lifestyle factor most related to cancer, the study showed, contributing to 23 percent of cancers in men and nearly 16 percent in women. The rest of the factors differed between the genders. Not eating enough fruits and vegetables contributed to 6 percent of cancers in men and occupational exposure to chemicals (e.g. asbestos) was tied to 4.9 percent of male cancers. Rounding out the top five risk factors were alcohol (4.6 percent) and obesity (4.1 percent). "We didn't expect to find that eating fruit and vegetables would prove to be so important in protecting men against cancer," Parkin said in the statement. "And among women we didn't expect being overweight to have a greater effect than alcohol." Overall, the researchers found 45 percent of all cancers in men could be prevented, along with 40 percent of all cancers in women. "This adds to the now overwhelmingly strong evidence that our cancer risk is affected by our lifestyles," Dr Rachel Thompson, deputy head of science for the World Cancer Research Fund, told The Guardian. "We hope this study helps to raise awareness of the fact that cancer is not simply a question of fate and that people can make changes today that can reduce their risk of developing cancer in the future."